Bequia weather is typical of that of the islands of the Caribbean – usually bright sunny skies and always warm temperatures year round. 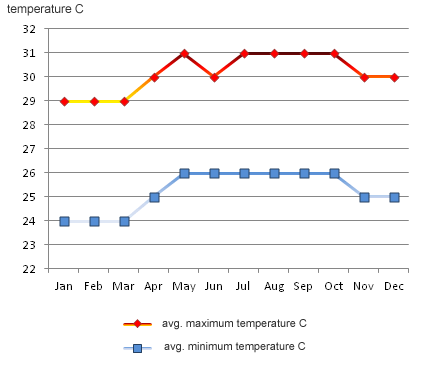 Temperature typically vary from lows of 24 C (75 F) to highs of 31 C (88 F). 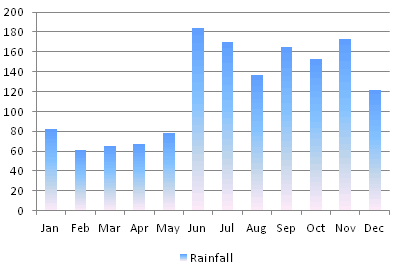 The rainy season runs from June to November. We welcome the rains which create lush countryside and beautiful tropical flora. Even in the rainy season temperatures remain warm with summer temperatures averaging 31 C / 88 F.